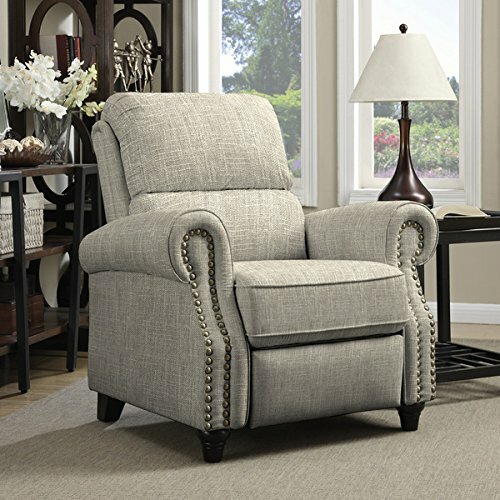 The ProLounger wall hugger recliner is covered in a linen-like barley tan fabric. Sit back and relax in this rounded arm reclining chair accented with hand-tacked antique bronze nail heads. If you have any questions about this product by angelo:HOME, contact us by completing and submitting the form below. If you are looking for a specif part number, please include it with your message.